Sign Up Now! Open a Bodog Sportsbook Account now! 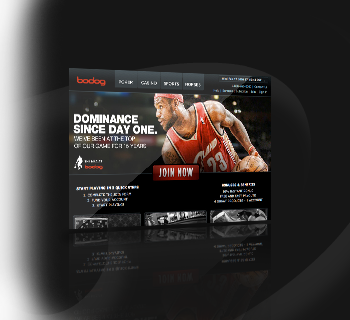 Many sites can claim to be the biggest and the best, but BoDog puts its money where its mouth is; the only site to offer consistent top-level performance in all areas of the online sports betting industry, BoDog’s 15 years of experience have seen many ups and downs, but nowadays prospective and current members alike can expect a fast, safe and secure gaming experience unlike any other. While their sportsbook is amongst the best online they also offer a huge Racebook with events from tracks all over the world, a casino boasting free tournaments and huge reload offers and the much-talked about BoDog Poker room the name might say Bodog, but for online players it’s the overwhelming favorite and definitely no dog. No other online sportsbook gives you as many “bettor friendly” offers as BoDog. Members can make bets ranging from $1 to a whopping $5,000. BoDog offers If Bets, Reverse Bets and a huge selection of Teasers, but does not list Action points. Their betting interface is reliable and easy to use, if not a bit slow during busy periods. It’s not often you’ll see a huge offer from BoDog.com, but when you do jump on it! Their initial offering for sports betting players is a paltry 10% up to $50 free, but Casino and Poker room players can get more month-to-month. As the leader in online sports gaming BoDog.com can afford to be cautious with its line offerings, so don’t expect much difference from the general sportsbook consensus. For this reason members have been known to wait longer than other sites for lines to be posted, but with such a solid reputation reports of line cancellations or voided lines are few to none. If there’s a more professional Customer Service staff out there, we’d like to know. Bodog Customer Service is well-known for their ability to handle all your issues quickly, but reports of delays in email response time do hurt their overall score. It’s a refreshing change to see an online sportsbook that makes things as easy as possible when it comes to getting their money. BoDog lists the estimated clearance date and is well-known for usually coming in under their posted expected date to receive funds. Bank Wires take the longest of all (up to 10 business days), Courier Checks can take up to 7 days while the MyPaylinQ option is even faster. Best of all, payouts are generally free. One of the original sportsbooks to offer an In Play gaming system, BoDog’s live betting lets you get in on the action as it takes place. For such a huge site you’d think more events would be offered and there would be a separate live betting section apart from the sportsbook, but for consistent and uninterrupted live betting BoDog.com does just fine. Get a 30% Bonus on your 1st deposit at Bodog! Open a Bodog betting account now!